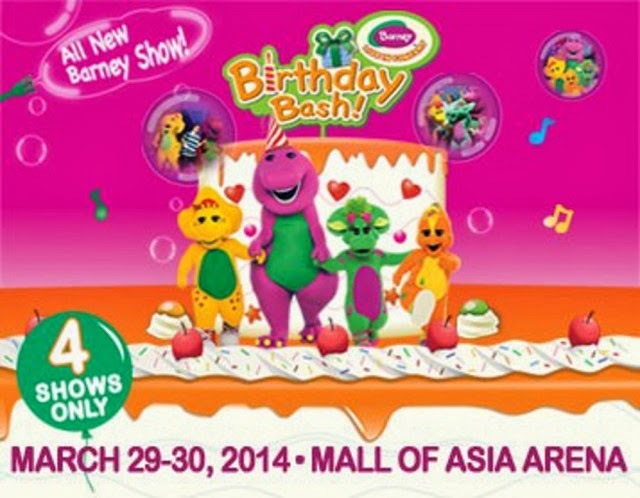 Join the loveable, huggable Barney & Friends as they sings and dance their way into your hearts in a new, interactive concert party tour. 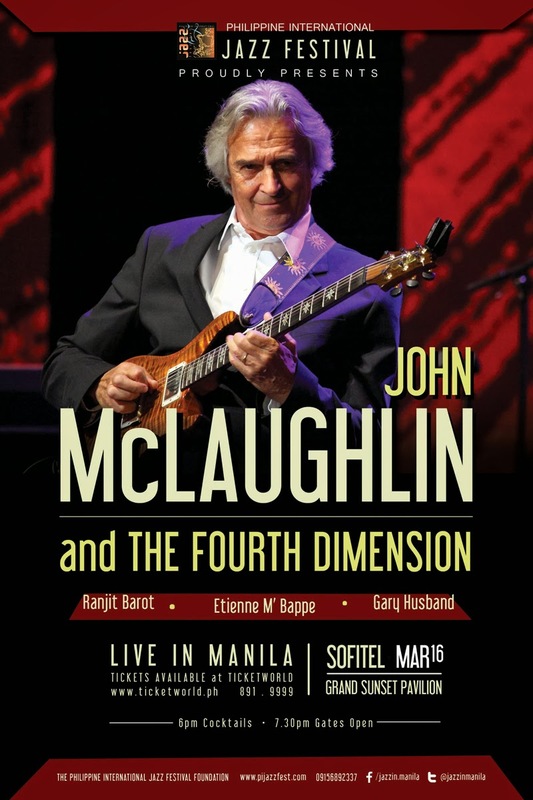 John McLaughlin and The 4th Dimension Live in Manila on March 16, 2014, 8pm at Sunset Pavilion, Sofitel Philippine Plaza Manila, Pasay City. John McLaughlin is a musician , guitarist originally from Yorkshire in England. He began touring with a new jazz fusion quartet, the 4th Dimension, consisting of keyboardist/drummer Gary Husband, bassist Hadrian Feraud, and drummer Mark Mondesir. My Favorite of the most beautiful places in the Philippines. It is one of the most spectacular pools in the world. In this river is popularly known as Rio delighted (Enchanted River) flows into the Pacific Ocean, precisely in Hinatuan, Surigao del Sur. Water is salty because of its approach to the sea whose waters flow through caves and tunnels leading to river salinity. 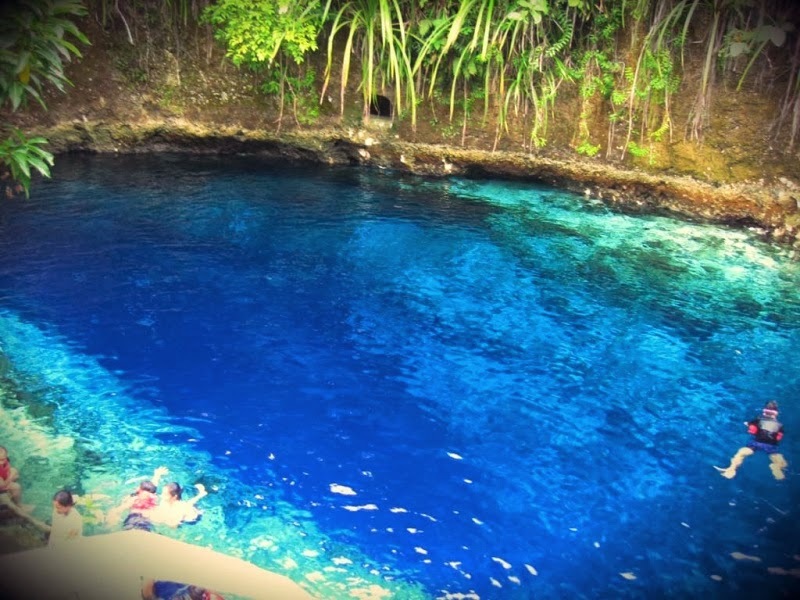 This river is considered one of the most beautiful popular tourist attractions throughout the Philippines. 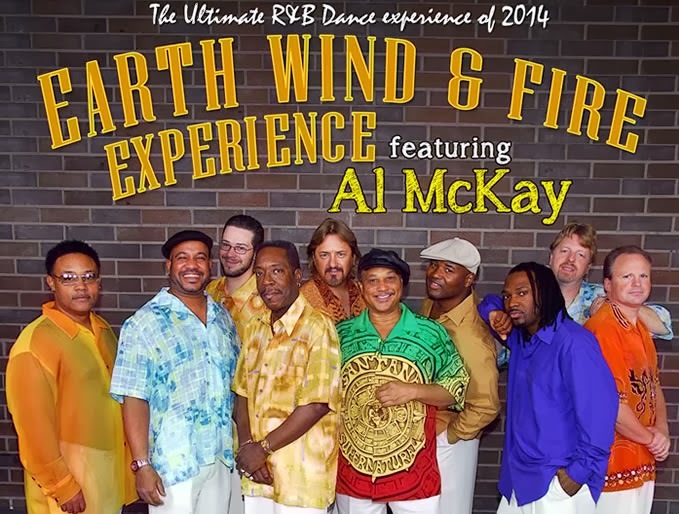 The Earth, Wind & Fire (sometimes abbreviated name in the acronym EWF ) is an American musical group formed in Chicago in 1969, which spans several genres, including R & B , Funk , Soul and Disco. Their leader and founder is Maurice White. EWF's career is studded with awards and exceptional business results. In over forty years of career they have sold about 90 million albums, received 20 nominations at the Grammy Awards, winning six. They also received 12 nominations at the American Music Awards, obtaining 4 times. In 2000 were included in the Rock and Roll Hall of Fame and received a star on the famous Hollywood Walk of Fame . Abba Mania is a tribute album to Swedish pop group ABBA, from 1999. 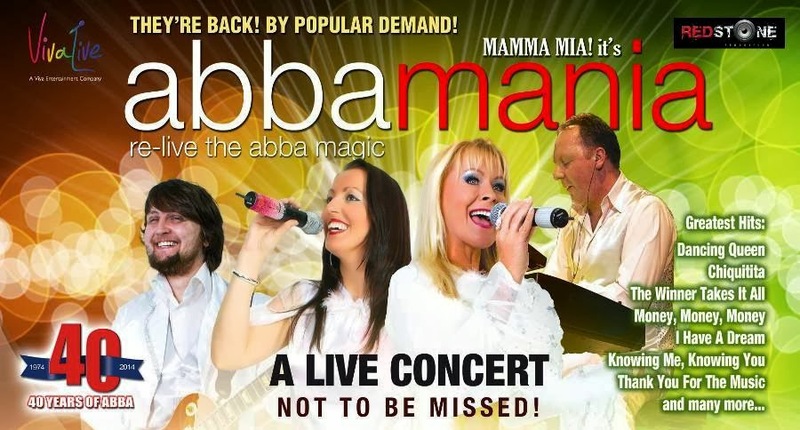 Featuring a special concert presentation, which celebrates the music and style of Abba in a respectful and enjoyable way, ABBA MANIA revives special memories of when 'Abba' ruled the airwaves. Their songs are timeless and will last forever. ABBA was a group Swedish of pop music, composed by Benny Andersson, Anni-Frid "Frida" Lyngstad, Björn Ulvaeus and Agnetha Fältskog. The name "ABBA" is an acronym formed from the first letters of the name of each member ( A gnetha, B jörn, B enny, A nni-Frid). One of the biggest American thrash metal bands of all time, Megadeth, returns to Manila on March, 2014 at the World Trade Center. Megadeth is a band States of thrash metal, formed in Los Angeles, California. They were formed in 1983 by guitarist Dave Mustaine and bassist David Ellefson, shortly after Mustaine's dismissal from his previous band Metallica, Chris Broderick – lead, rhythm, acoustic guitars and backing vocals and Shawn Drover – drums, percussion. 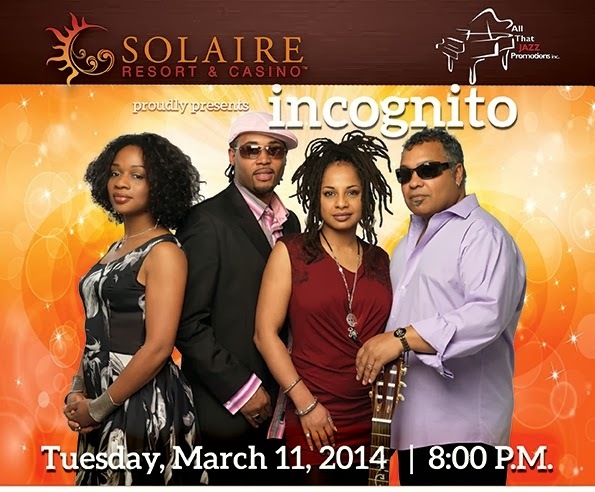 Incognito is a British band that as an important member of Acid Jazz is considered movement. In 1981 their debut album was released Jazz Funk . From 1991 to 2001 Incognito was the flagship of the British music label Talkin 'Loud. Since they are at the London Soul label Dome under contract. On March 11, 2014, the date of performance, Tuesday, 8:00 pm. In this world of live music, thrills, adventure, good eats, and people from around the globe, the only way to transcend the different cultures is through one language called music. 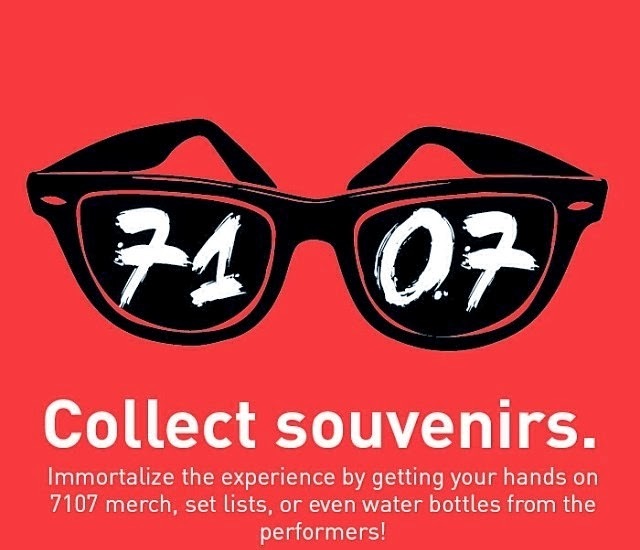 7107 International Music Festival is a two-day outdoor music festival happening at the Global Gateway Logistics City in Clark, Pampanga this February 22-23, 2014. On the first day (Feb 22), the Foreign Acts are: Kaskade, The Galaxy Asteroid Tour, Kid Ink, Alvaro, Natives, DJ Riddler, Reid Stefan. And the second day (Feb 23), the Foreign Acts are: Red Hot Chili Peppers, Empire of the Sun, Kenrick Lamar, Red Jumpsuit Apparatus, Luciana. 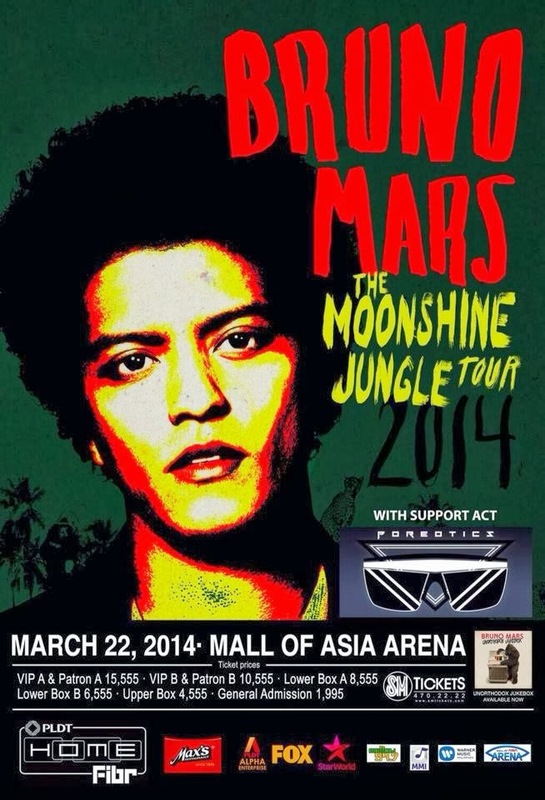 Bruno Mars returns to the Philippines for the Moonshine Jungle Tour 2014 which will be held this coming March 2014. The Moonshine Jungle Tour is the second international tour of the singer and songwriter Bruno Mars. It begins June 22, 2013 in Washington. Daniel Padilla is set to rock the stage again this 2014! 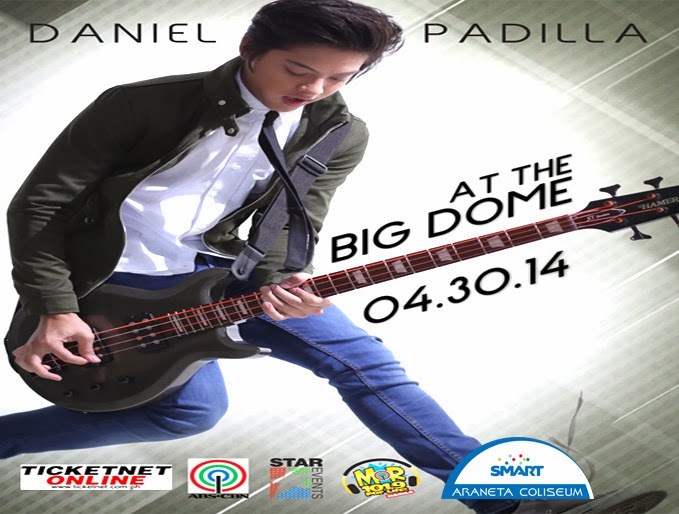 After his smash birthday concert last year, Daniel Padilla will be playing for his fans again atThe Smart Araneta Coliseum. He is preparing to record a new album as a follow-up to his previous self-titled debut album that turned platinum after it was launched. Aside from the upcoming album of Daniel Padilla, he is also preparing for their upcoming movie with Kathryn Bernardo. Known for his chart hits such as "Forgiven & Loved", "Firefly", and "Yours To Take". 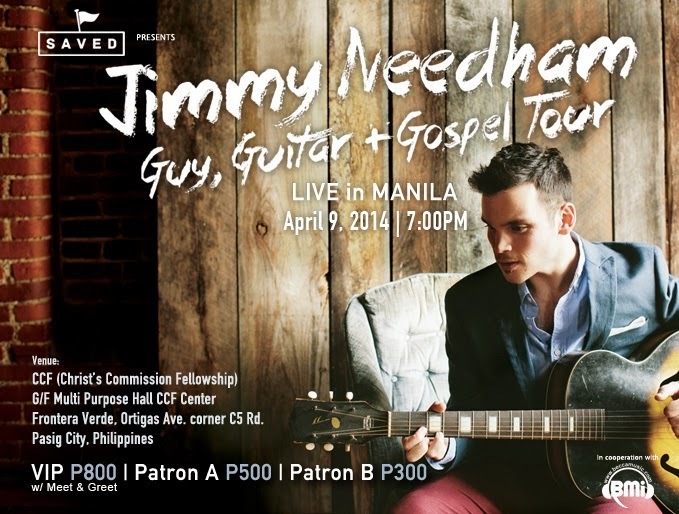 Jimmy Needham has built a reputation for himself in creating soulful, socially conscious, faith-based, eclectic and fresh songs with hints of funky Rhythm & Blues, classic Americana, contemporary Pop, and undertones of Reggae. 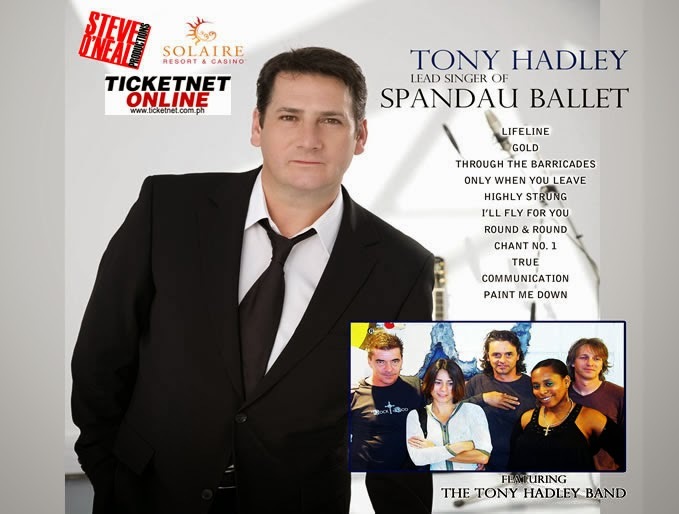 Tony Hadley, the lead singer of the hit band Spandau Ballet, is coming to Manila for a defenitely one memorable night at the Solaire Resorts and Casino. The Band famous during the 1980’s have been branded as the pop-rock and new wave era, which may be considered as one of the most thrilling music age in the international scene.